The Toxicology section provides testing for a variety of toxic elements in biological samples. 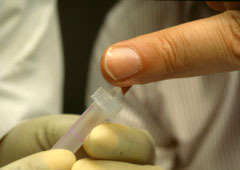 Testing is primarily performed for physicians, clinics, and public health agencies. Pottery lead testing is the only test performed for the general public. For additional information, please contact program staff at 608-224-6252 or toxpt@mail.slh.wisc.edu.